and the war took a 'slightly' different path this alternative reality could have been very real! What do you think would have happened, IF..........? Military development never progresses faster than during a major conflict. Now, if you assume that their have been subtle changes in fortune and certain aspects of World War II had gone along a different path. It is commonly (and accurately in the author’s opinion) said that the NATO Alliance was conceived with the Japanese attack on Pearl Harbor on December 7 1941. With President Roosevelt facing criticism of his position on supplying belligerents in the War raging in Europe and North Africa a declaration of war on Germany was out of the question. However the de-facto Declaration of war by Japan allowed him to move the USA towards a war economy and to increase material aid to the British & Commonwealth and Soviet forces fighting the European Axis of Germany and her allies. The 'Fight Now-Talk Later' Bill was passed with little opposition, this gave the Allies an open ended credit agreement for the duration of hostilities. The Science Co-Ordination Committee ensured that the latest developments were followed up in a coherent manner according to agreed priorities, and moves were made to standardise where possible. With Britain under heavy air attack and invasion feared the Tube Alloys (atom bomb) and Radar teams moved to Canada to join many elderly and very young civilians evacuated earlier. With the US Motor Industry providing technical assistance to the Ministry of Supply and the good fortune of some forward thinking by Rolls-Royce and Supermarine among others Phase A was achieved by the end of 1942. The Cromwell tank was to be the British Cruiser tank with the Churchill being the Infantry tank in Independent Armoured Brigades. 2pdr tank gun production was phased out in favour of the 6pdr ceasing completely by June 1942. Tanks in service judged suitable were developed to mount the 6pdr. The Matilda was fitted with a Cromwell turret and was the AFV of choice in the Far East. Valentine and Churchill tanks were to be used for special purpose AFVs and Crusaders were rebuilt for use as gun tractors. All other types were relegated to local defence until replaced by more modern types. In the air the Spitfire and Hurricane equipped fighter and ground support squadrons respectively with the Merlin Mustang supplementing the Spitfires later. The Mosquito became the night fighter and light bomber with the Beaufighter equipping North African and Far Eastern units. All other types were to be used for training until worn out or spares used up. The Halifax and Lancaster were heavy bomber types used in the Battle of the Atlantic against the U-Boats before being turned against Germany and Italy in 1943. The end of 1943 saw the Allies on Sicily and the Soviets finally stopping the Germans at Ufa. Supplied through the Far East from America the Soviet Army then staged a series of offensives that drove the Germans steadily back throughout 1944-5. In the West the offensive air operations started well until the arrival of the Me262 fighter caused unacceptable losses, most of the heavy bomber squadrons were then deployed to the Mediterranean Theatre to support the ground campaign. With airships now taking over in the Atlantic ever more aircrew and planes became available to counter the German jets and advanced fighters and through 1944 air supremacy was achieved tactically then increasingly strategically. Sheer weight of numbers started to erode the Luftwaffe with the deployment of the first Vampire fighters in March 1945 sealing the air war. By the end of 1945 the Soviets had retaken all of Russia and part of the Ukraine, the Normandy landings had established a large beachhead in North West France, the Allied Armies in Italy were at the Alpine passes and the invasion of Southern France had opened up a useful jumping off point for 1946. In the Far East the Japanese had been pushed out of most of their conquests and the merchant fleet was virtually destroyed, Japan was effectively under a submarine blockade and under continuous attack from huge formations of B-29 bombers. As a result huge numbers of men and equipment were transferred to the European Theater the first units arriving in October and rapidly building up. With great foresight the US decided to use their atom bombs against Germany first and on May 2nd 1946 Dresden was destroyed by the first offensive atom bomb delivered by a B-29 from Northern Ireland. The German forces facing the Western Allies started a full scale retreat while their comrades on the Eastern Front held just east of the Vistula. The second bomb on Munich 10 days later saw the Germans surrender to the Western Allies and establish a cease-fire along the Vistula a day later. Unknown to most of the civilian population a lot of planning had been applied to the aftermath of the War. Britain was battered, what still stood was worn-out, France, Italy and Germany were heavily damaged the rest of Europe was in poor shape with winter approaching. The Marshall Plan was announced at a European Leaders summit in Luxembourg in October 1946. 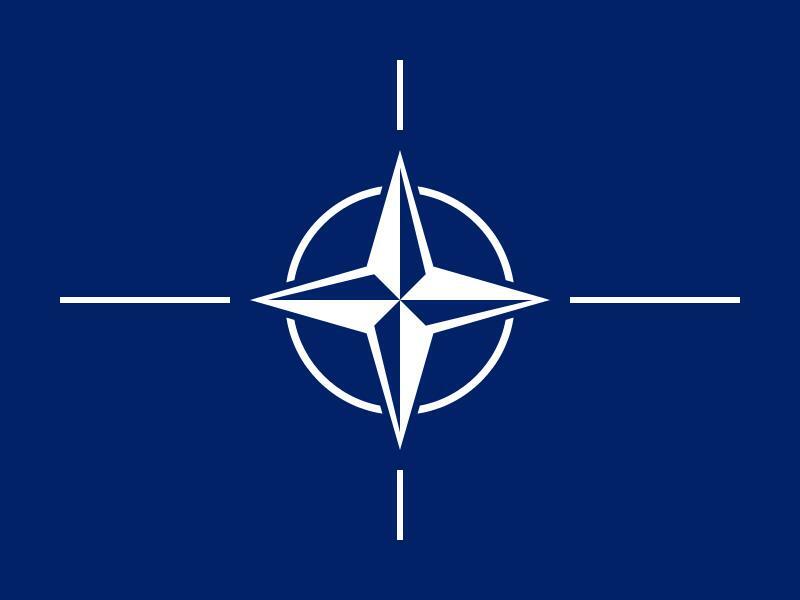 The open credit was to be extended to Western Europe and administered through a US Managed agency to be called NATO (North Atlantic Treaty Organisation). The US was keen to get Europe on its feet again and able to face an increasingly bellicose USSR as quickly as possible and avoid a humanitarian crisis. The US would guarantee European sovereignty and would manage the rebuilding of Europe through NATO. As the local forces built up US units would be rotated home and back to civilian life. The first steps were rapid with large US freighters arriving at most European ports carrying food, medicine and shelters. All German military personnel were ordered to co-operate in interning Nazi officials and senior officers were replaced by more reasonable individuals with US Liaison officers in every unit. Wide publicity was given to the Death Camps which stopped residual support for the Axis completely. A review of military equipment was undertaken by the Science Co-Ordination Committee to decide on the future equipment of European Forces. There was to be complete standardisation in all areas. Through the winter and early spring the situation was stabilised, the Allied Forces were stationed in Eastern Germany and Poland facing the Soviets. They were joined by German units that had been vetted and equipped with US equipment. This was ill-judged as it nearly caused the war to restart but the Soviet Front commanders held their fire despite Stalin’s orders and shortly after staged a coup with Stalin and Beria both being shot. A period of acceptance then ensued – Detente. As a result of trials the US Army standardised on the M26 Pershing to T26E3 standard and the M4A3E8 Sherman. The jeep, GMC truck and half-track were to be used until replacements were designed. All other vehicles were to be taken to staging areas in the UK together with knocked out vehicles and other war material. Under American instruction vehicles were to be overhauled and issued to the reformed armies of Europe. Britain was allocated tank production and refurbishment of existing stocks. Sherman tanks were to be re-fitted with T26E1 turrets mounting the 90mm gun and a co-axial .50cal machine gun and the wider E9 suspension. Others were rebuilt to take the US 105mm howitzer or as heavy armoured carriers. Britain also adopted the Pershing in some units. The German Stg44 was adopted as the standard personal weapon after extensive redesign in several versions, German IR night fighting gear was also used, the Walther pistol, German helmet, Panzerschrek and Fleigerfaust anti-tank and aircraft weapons were all accepted after some modifications. 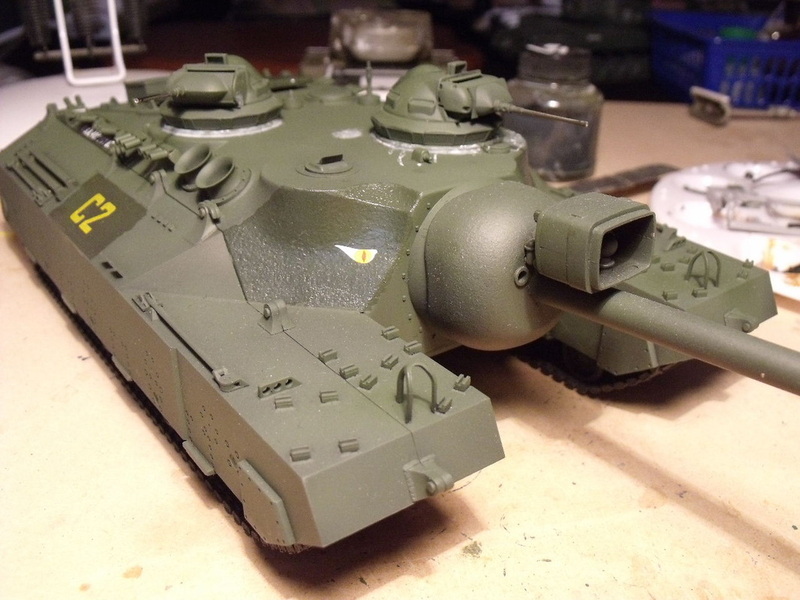 It was decided that the British Centurion was the best choice for the next European tank. A better gun than the currently planned 20pdr should be developed. With a shortage of Ford V8 engines and 90mm guns and ammunition the Pershing tanks stored in the UK were stripped and rebuilt with Meteor engines under a Cromwell deck (both from redundant Cromwell tanks) and the 20pdr gun which was ready for production. The stripped Pershing components were shipped back to the US in return for bare hulls and turrets. This interim tank equipped most armies until the 105mm armed Centurion entered service in 1953. There were variations; the Germans used their 88mm KwK43, for example. Pre-War Political settlements were also considered and many were modified or cancelled. With France in such poor shape it was decided to allocate Palestine to France and French Indo-China to the British, in both cases suitable forces were relatively close by. In Indo-China the British re-established relations with Ho Chi Minh which proved to be an extremely wise move. The area was to be split into three counties with Ho Chi Minh and his Nationalists contesting power in Vietnam, Cambodia returned to a monarchy, Laos a Federated Grouping of tribes. Ahead of the elections to be conducted in 1948 under Swiss supervision Ho Chi Minh and his Viet Minh groups offered to accommodate former POWs from the Japanese camps until they were judged fit enough to return to the UK. With the worst cases being sent onto India many British servicemen were returned to health by peoples not unlike themselves in many ways. With many Vietnamese men killed romances blossomed and many Vietnamese women travelled to the UK. Some British servicemen decided to stay in Asia. With the fall of China to the Communists and the Korean War the Cambodians were forced to allow Chinese sponsored revolutionary groups to operate from their territory against Vietnam. The Vietnamese army had received much equipment from both Europe and the US, they found the Stg44 far to big so adopted the American carbine instead for example, however the situation seemed grim. At a conference in Hong Kong it was decided that the British would supply military assistance to secure the Vietnamese border and conduct operations into Cambodia. The Vietnamese would be responsible for actions within Vietnam. A flotilla of converted landing craft patrolled the Mekong River while the army established a series of bases with strategic hamlets attached. The locals could fall back into these for protection in the event of a battle but were not required to live in them at other times. Intermediate posts acted as patrol bases. Further back a series of air fields provided bases for the RAF and Vietnamese Air Arm as well as providing a base for medical and agricultural programmes. By mid-1961 the situation was over and most British units left. A single base at Da Nang was maintained by treaty for training use. Elsewhere the State of Israel had been established and survived two attempts to wipe it out. Initially equipped by France it was decided that heavier AFVs were needed so surplus Sherman tanks were acquired from Europe and the US, rebuilt locally they were used until the mid 60s when Israel brought the M-26 tanks released by the arrival of the Centurion. These were upgraded with the 105mm gun, an American Continental engine and served as the Fist of the Israeli Defence Forces until the early 1980s. They then saw further service as Heavy APCs and other types and are still in service today alongside their M-46 ,47, 48 and 60 based off-spring. The Israeli’s started to develop their own MBT as the ‘Merkava’ but realised that a co-operative venture would be better economically and politically. The Merkava project was absorbed into the Anglo-German Leopard which saw a German hull and running gear carrying an Israeli turret armed with a British 120mm rifled gun and German 25mm cannon. Israel joined NATO on May 13 1987 40 years after its formation. Sweden had joined as a military partner in 1953 the same day Switzerland joined as a trading partner. Spain, the only other non-member country in Europe, joined in 1961 with the ending of the Vietnam Involvement. Gibraltar was recognised as a separate State under British jurisdiction and every 10 years a referendum is held to decide if the UK or Spain should control the former colony. The immediate Post-War period was a critical period during which the seeds for the next conflict could have been planted. The imposition of centralised control as a condition of the enormous credit offered to ALL the countries of Europe was resented in certain quarters especially as the administration insisted on more Equality in each country, both of wealth and the individual. It is easy to point to the treatment of minorities in the USA at the same time but as Europe started to blossom it acted as a catalyst for Americans to put their own house in order. With the removal of Stalin the new leaders of the Kremlin acted quickly to come to an agreement with the West. This survived the development of the Soviet atom bomb in 1950 which was only overtaken for shock value by Sputnik. Instead of the battlefield the Eastern Block and NATO challenged each other in sports, especially the Olympics, great civil engineering works both at home and abroad, scientific endeavour and in Space. With both the US and USSR landing on the moon within a hour of each other in July 1961 and the US landing on Mars in 1982 common sense finally won through and both Blocs started co-operating to face the double challenge of Climate Chaos and Space Exploration and development. Across Europe Peace has reigned albeit tense at times, the standard of life as measured by many criteria is better than it has ever been, society is more equal and in most countries advanced processes and equipment have ensured that the tax burden for most of the population is at its lowest level since Napoleon. Many scholars have investigated how things may be different if other outcomes to WW2 had emerged. If, for example, NATO had been purely military it’s quite possible that the tension building after the War would have continued unabated, with each bloc spending ever more on unproductive weapons both systems would have failed. There would have been a collapse in living standards across the globe, possibly widespread starvation and regional conflicts. Certainly most of the big projects of recent decades would have been unaffordable. The moon landing may have happened but it would have been the end of a space programme rather than the first chapter. Leprosy, smallpox, tuberculosis and rabies would all still be live diseases. The Lunar Radio Observatory would be a dream as would the possibility of reversing desertification across the Tropics.